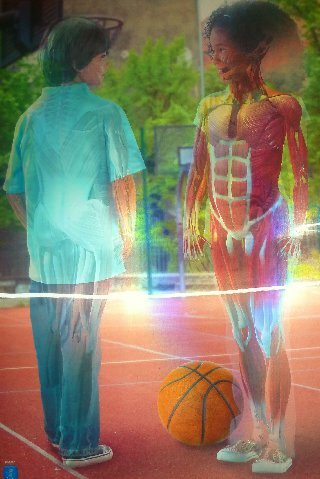 Who isn't curious about the human body?I have always been amazed at what a well run "machine" the human body is and have always been intrigued by it's layers. 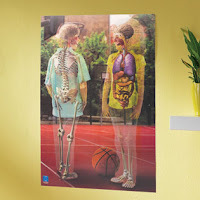 Educational Insights Inside Out Lenticular Human Body Poster presents the various layers of the human body in such a fun way! The Lenticular Human Body Poster shifts from two kids (a boy & girl) to their skeletal systems, muscular systems, and organs. The Lil Divas and I recently had the opportunity to review Educational Insights Inside Out Lenticular Human Body Poster. 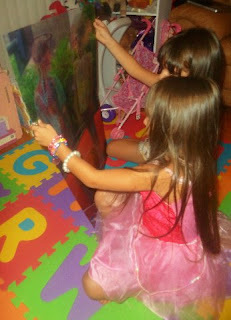 They were mesmerized - watching the different layers over and over again. They are a little young right now to fully appreciate and understand everything depicted in the poster but this will really be useful with them later (and hopefully when I return to the classroom full time). Even though they were under the target age group - they really found this interesting and were amazed to see everything that is under their skin & inside their body. 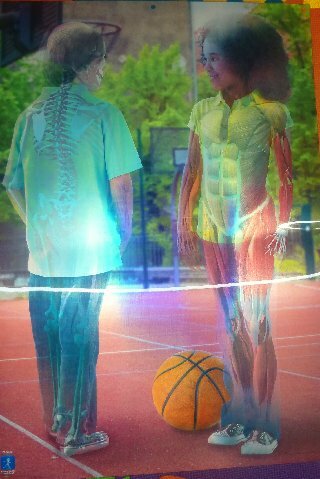 The 19"Wx27"H Educational Insights Inside Out Lenticular Human Body Poster is geared for children ages 8-11 years old. The poster arrives packaged in a polybag with a header. 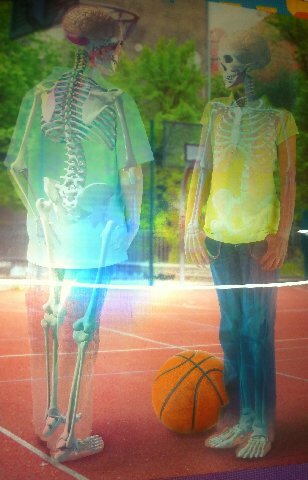 The poster showcases an outside, skeletal, muscular and organ view of two children's body. Our overall impressions were that this is such a fun and educational poster. It would be perfect for classrooms, homeschool families or any curious children. I have to admit - this one would be cool even for adults and older kids! Leave me a comment about Educational Insights Inside Out Lenticular Human Body Poster - please include your email! Disclaimer:I received The Lanticular Human Body Poster for the purposes of trying it out for this review. That being said, this review is my 100% honest opinion of this product - I am not paid for my reviews or optinions! They are 100% mine! Please remember that your opinions and tastes might differ from mine. this poster seems like it would grab my daughters attention and would provoke alot of questions which would make a great learning opportunity. This poster is a good educational tool to teach at home , I would love to win . What a fantastic way to show the different layer of the body! We would love to use this for our children. 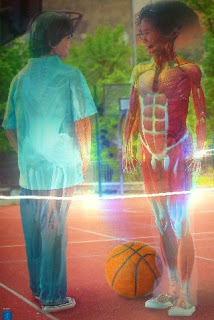 I think that this would pique my kids' interest and develop more curiosity about the inner workings of the human body. Having had homebirths, they know some things - but this is really neat! This is so cool. I want to win it for my 15 year old daughter though. Lol. Maybe it would get her excited for school this year. Like you on FB 2. Like Educational Insights on FB. I would love to donate this to my daughter's Kindergarten classroom!